Bubbly beauty Jyothika, who has been starring in unique roles after her Comeback in 2015, with hits like 36 Vayathiniley, Magalir Mattum and Naachiyaar earlier this year, was last seen in kaatrin Mozhi. The movie, which is the remake of Bollywood superhit Tumhari Sulu starring Vidya Balan, was directed by her Mozhi maker Radha Mohan and costars Vidharth and Lakshmi Manchu. Kaatrin Mozhi also featured Simbu aka STR in a special cameo appearance. 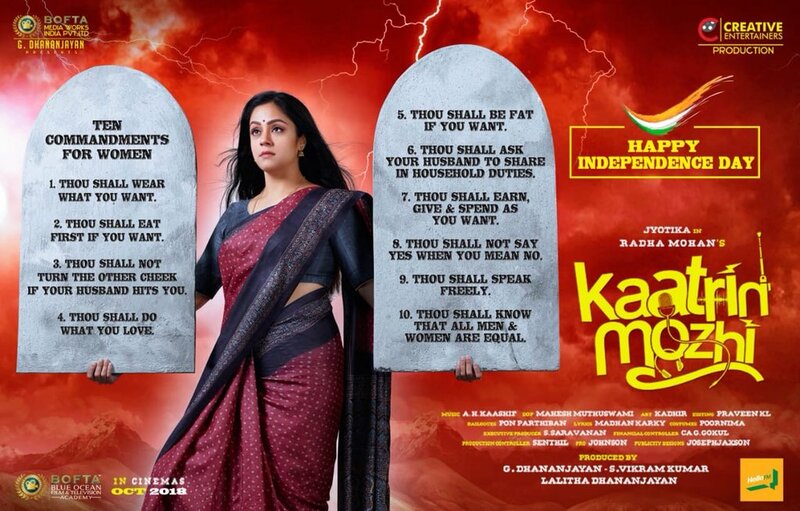 Recently, Producer G Dhananjayan had appreciated Jyothika's dedication and attitude without starry airs, and also appreciated that the movie was a profitable venture to his banner.